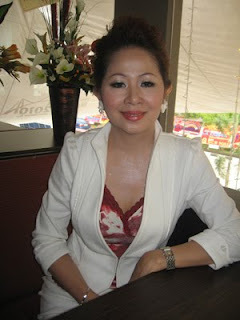 La Costa, BatamCentre Burn Cottage Fish restaurant fast indeed win people's hearts since the first launching of Batam. therefore of La Costa launched a VIP card member of La Costa, Saturday (19 / 6). The advantage of course make it easier for customers to process transactions with additional discounts. VIP cards can also be used in La Cruise Restaurant and Fuel fish shack Batam Centre. "Customers who have this card, the card can be used as discounts at restaurants and Cafe La Costa 20 percent, Restaurants and Cafes La Cruise Nagoya Hill 20 percent, and the Cottage Fish Bakr (PIB), Batam Centre 10 per cent," said Laura as an organizer. This discount card, valid for the menu of seafood, steamboat, and western food. "When you eat a minimum of 300 thousand, we provide this free member card valid for one year. Or it could also be made with pay administrative Rp50 thousand, "said Manager of Restaurants and Cafes La Costa, Madiah. Meanwhile, for drinks, promo, promo valid only prescribed for certain cardholders. Comfort and facilities at the Restaurant La Costa to be a highly paid attention to visitors. Not just a satisfied appetite, visit the Restaurant La Costa means to get comfortable, because the room at La Costa on purpose in the format in such a way with batik ornaments around it, "Batik is Indonesian cirikhas, with batik atmosphere. Very suitable for family. Visitors will taste nuances of Indonesia, and of course in order to succeed the Visit Batam 2010 as well, "said La Costa Restaurant Owner Lala. Over the years, La Costa has become the mainstay for families who want to enjoy a special meal that's been designed with special recipes that have been experienced from the Cheff. Besides La Costa also provide catering services at very affordable, which is worth USD $ 6 thousand, for booking a minimum 5 pax. "This is a menu of packages which are deliberately released by La Costa for the workers in the vicinity of Nagoya, Nagoya outside the reservations of course there are additional costs pngantaran, minimum 5 pax pemesannya is," said Lala added. Furthermore, according to Laura, To attract customers, La Costa also give discounts of 25 to 50 percent of food for a year for credit card pemegan BII. Similarly, the user of the card gives a discount 15 percent of Indosat's special seafood and western food, and 10 percent for all sorts of steamboat.